Photoshop Actions is a very powerful tool and allows most of the actions we perform within photoshop to be recorded and when completed can be played back duplicating the actions we saved previously. On the history pallette select the Actions tab. 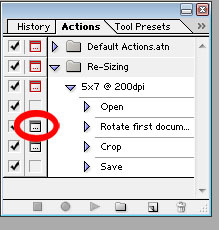 Now open an image (you will notice that photoshop fills the action pad with "open". 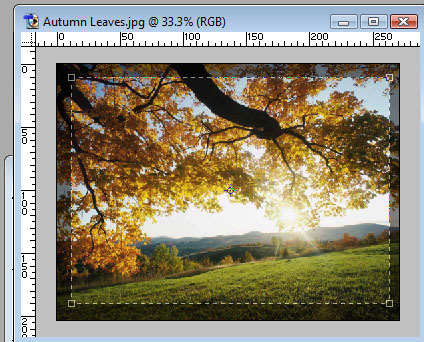 Drag the cropping tool over the image getting in as much of the image as is possible without going beyond the image area. Center the cropping guides on the image. When happy with the crop press the Return/ Enter key on the keyboard. 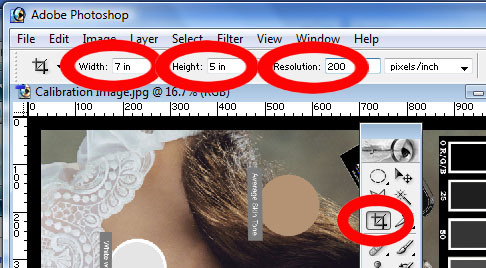 Save the image as Jpg at level 12 and as baseline standard. The action is now made and should look like this. Now we need to make Photoshop stop at the Rotate and Crop actions. 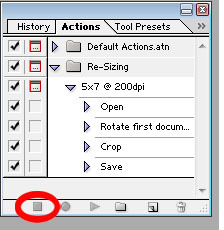 On the left hand side click the empty boxes beside > Rotate first document Action and also beside the > Crop Action. 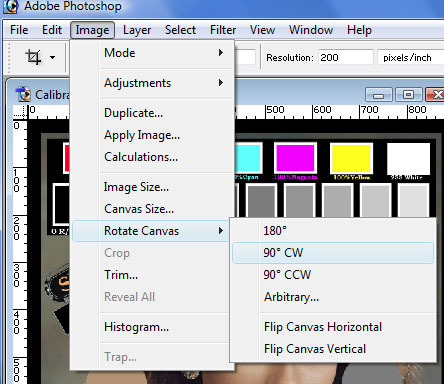 Start by making a new folder for your cropped and re-sized images. eg 5x7 @ 200dpi ready for printing. 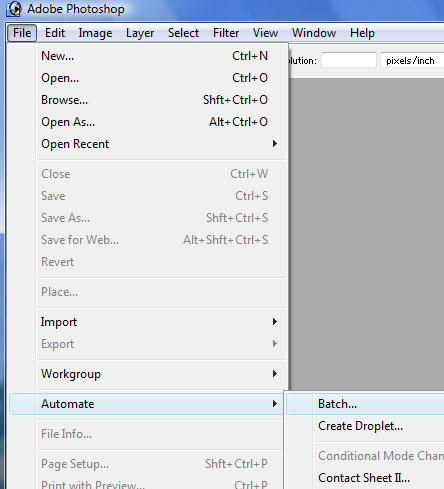 With the action we have just created selected, Click File, Automate batch. This dialog box will appear. 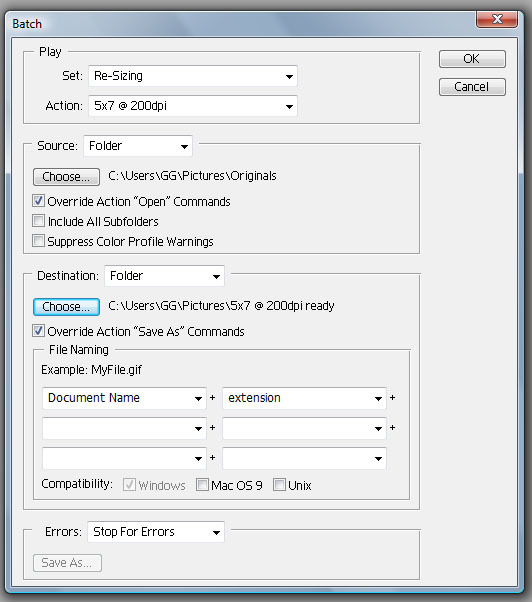 Under the SOURCE drop down box choose FOLDER and navigate to your originals folder. Under the DESTINATION drop down choose the folder you made for the completed images ready for printing. eg "5x7 @ 200dpi ready for printing" folder. and CHECK the Overrde Action "Save As" commands. Click OK and the Batch action will start. 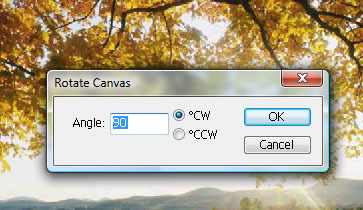 If needed, move the cropping bounding box as required to suit then Press Enter/Return on your computer's Keyboard. 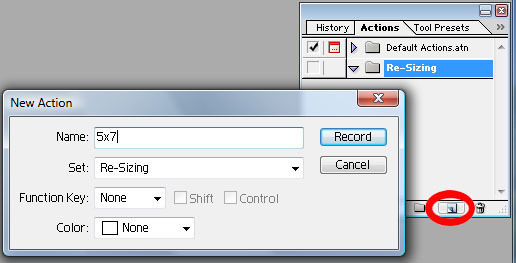 The batch action will save the image in the Destination location and move on to the next image in the folder repeating the actions as recorded.